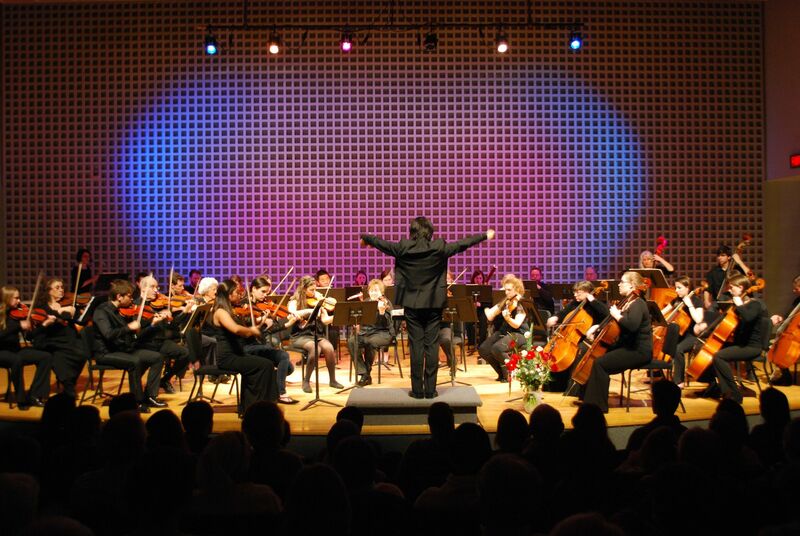 Bates College Orchestra (BCO) was founded in the 1970s. Student members are given course credit to participate in weekly rehearsals and perform a wide range of repertoire from the Baroque period to present. The BCO recently performed works by Debussy and Ravel, Symphonies by Beethoven, Brahms, Mendelssohn, and Dvorák. Each winter semester the BCO hosts an annual concerto competition providing an opportunity for Bates students to perform as a soloist with the College Orchestra. Performing two concerts per year, the Bates College Orchestra draws members from the entire Bates community as well as the Lewiston-Auburn community. Students of all majors and backgrounds are eligible to audition. While College Orchestra is normally taken for credit, the Director will also consider auditors (for students whose credit load would otherwise prevent them from registering). Feel free to contact Professor Hiroya Miura (hmiura@bates.edu) if you have any further questions regarding the BCO.